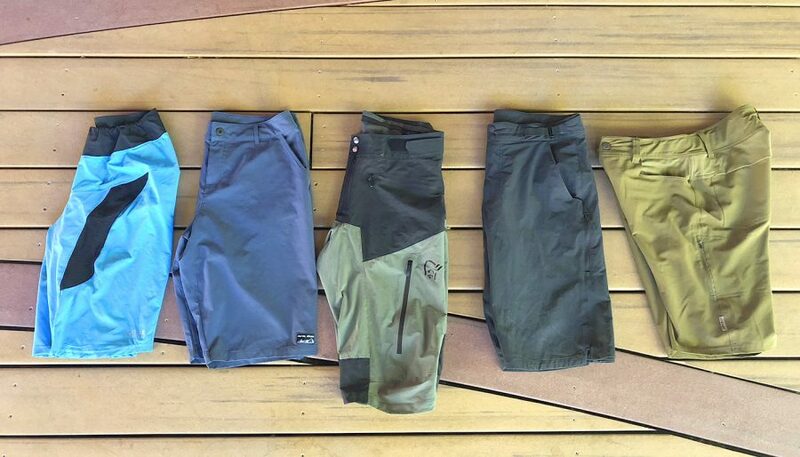 Technical shorts isn’t an oxymoron—there’s more to shorts made for mountain biking than you’d think. 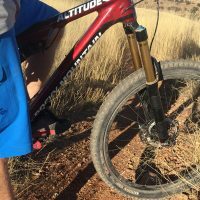 It starts with fit—they need to be unrestrictive for pedaling, but not baggy so they get snagged on the seat when dismounting, leading to embarrassing no-speed wipeouts. That usually means stretchy material. 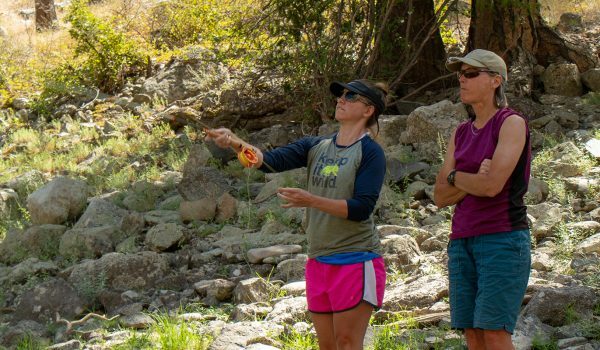 You’ll want shorts that can adjust, either because they’ll naturally stretch a bit on the ride, or because your waistline changes (hopefully for the smaller) as the season progresses. 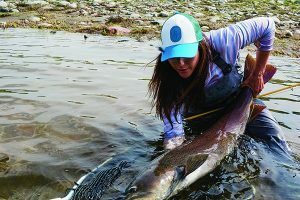 Some companies opt for a hook-and-loop system, others for Velcro, and others for belt loops. I prefer belt loops, but some find them cumbersome while pedaling. 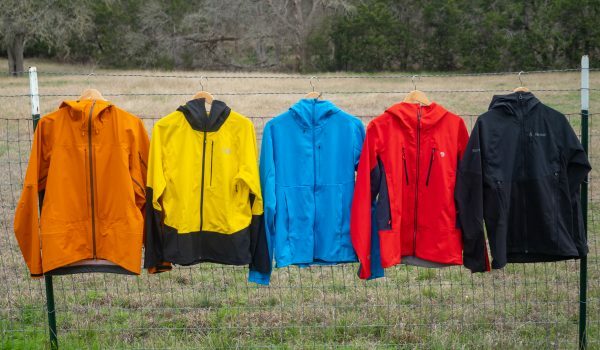 Our range of models mostly fell into the tweener spot of general use shorts—made to ride both cross country and downhill. That means medium-length hems and medium weight materials. Shorter hems and lighter materials are less restrictive and more breathable, but less protective and a little dorky looking. 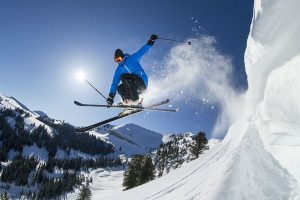 The exceptions were the racer-inspired Gore C5 shorts and the downhill oriented Norrona Fjora Flex 1. 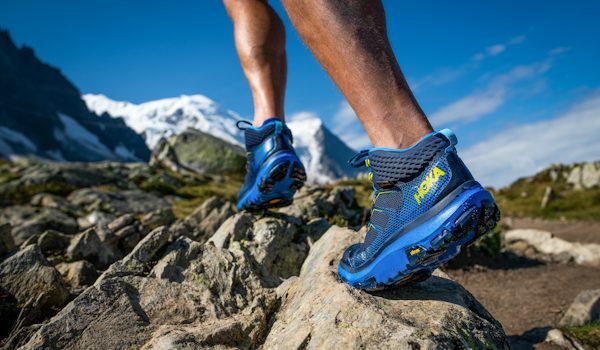 The standout in this year’s test was the Norrona Fjora Flex1 due to its wide range of intelligent features and smart fit. Though it’s a short oriented towards downhill riding, it was well-designed enough not to be restrictive or too hot for general use. One difference between this year’s test and last year’s is that we only tested shorts this year. 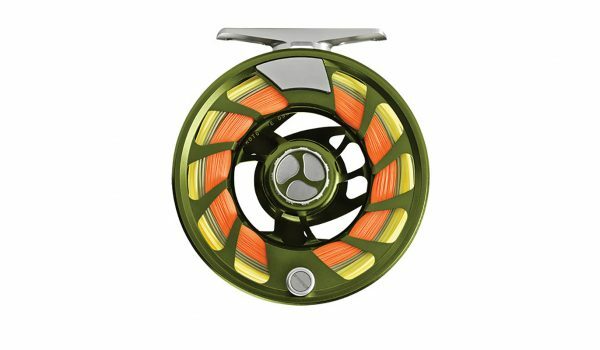 Last year’s test included a few models that came with bibs or liners specifically designed for that short. Shorts only is a better apples-to-apples test where price is concerned. Depending on your colorway, these shorts scream Euro Downhiller. The slim, cut works great for the very thin, or people more interesting in standing on the pedals and descending. 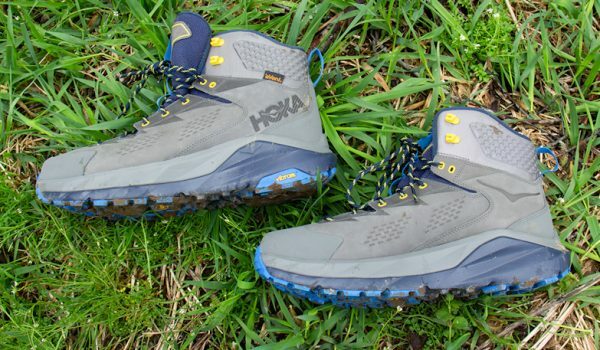 They’re also best suited for cool-weather riding. 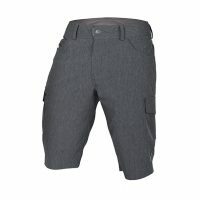 Ringing in at more than $150, the shorts justify their price with the plush, protective shoftshell fabric and a horde of pockets and vents. Essential shorts for anyone riding headlong into challenging terrain. 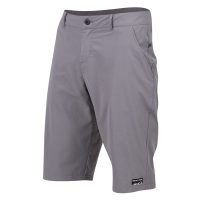 Backcountry’s Full Suspension Short is a pitch-perfect take on an all-around trail short. 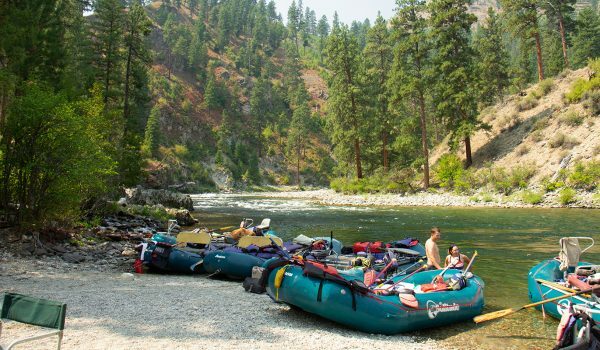 It’s stretchy enough, light enough, and protective enough for riding anytime, anyplace. 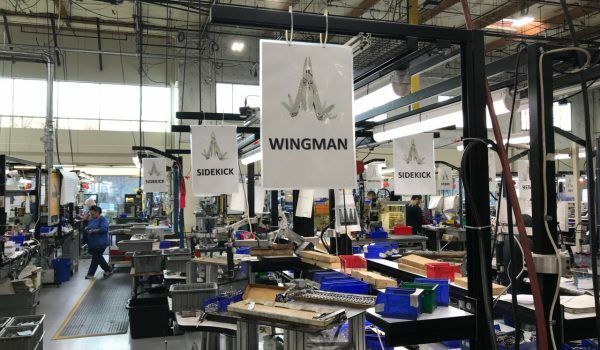 Remarkable for a company just launching into apparel, the fit is very dialed. 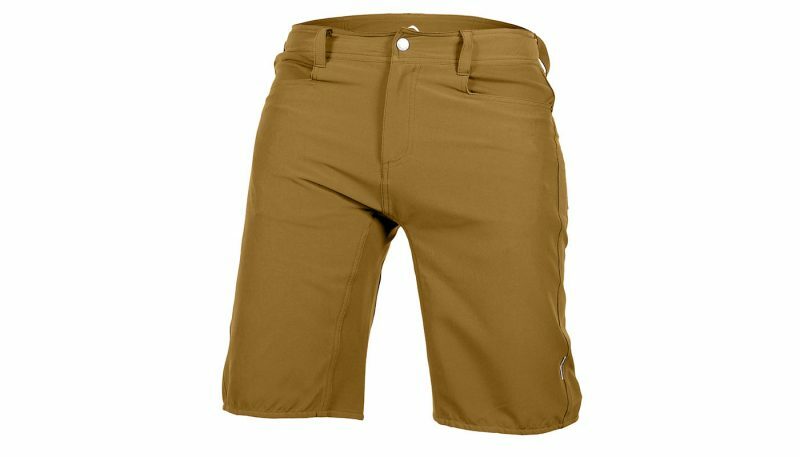 Indeed, mountain bike shorts have evolved since their humble single-gender and single-color days. Now it’s all about the stretchy fabrics that make a short snug enough to not get caught on the seat post, yet unrestrictive while pedaling or moving around on the bike. Thicker, stretchy fabric goes a long way in protecting skin in a crash too, absorbing some of the force skin would normally take. And savvy styles include kneepad compatibility. 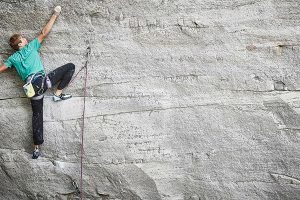 Most companies have clued in to the hip pocket designed to secure a smartphone while not affecting movement and they have certainly clued in to a growing women’s market that demands high-performance, protection and comfort. 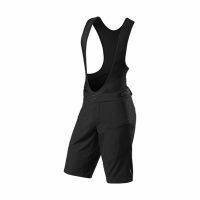 Check out our Women’s MTB Shorts reviews. For the men’s shorts, the big differences were in fabric weight and hem length. 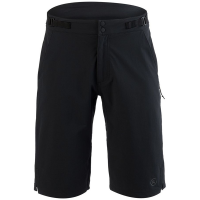 The shorts with the lightest fabric were theGore C5 Trail Light Short and the heaviest were the Norrona Fjora Flex1. 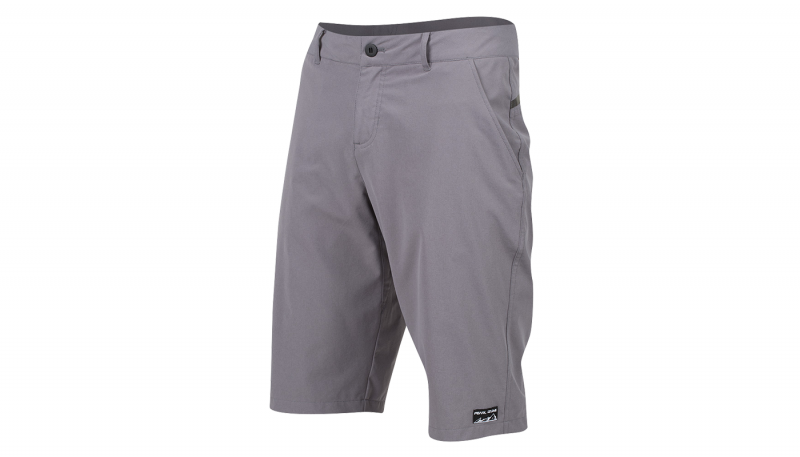 Pick theGore shorts for warmer weather; the Norrona for colder. 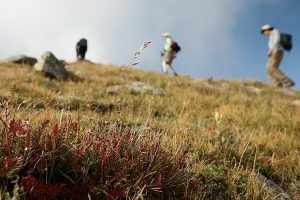 Similarly, pick shorts with heavier fabrics for better protection; lighter fabrics for better breathability. The hem length on the Pearl Izumi Chachi is shorter than most in the test—11 inches—which makes it a better choice for pure cross-country riding because of better ventilation and less restriction. 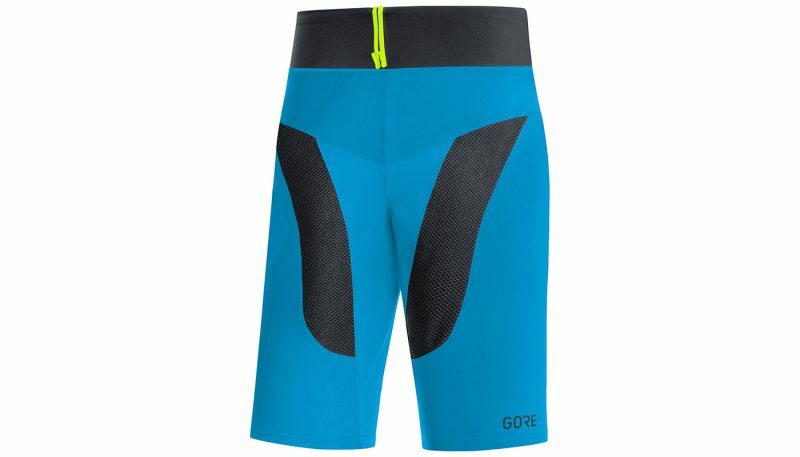 The best fitting shorts in the test are the Gore C5 Trail Light Short. They have a snug fit—essential in a technical short where you don’t want them to catch on the bike seat on dismount or in a tumble. Yet you don’t want them restrictive, obviously, while pedaling. The secret is good tailoring, but also a stretchy fabric. 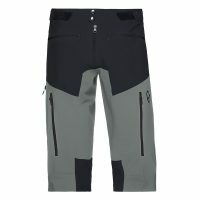 The Gore shorts have both, narrowly edging out the Club Ride Chachi, which scored a few extra points due to the fact that they sport both an internal Velcro-tightening system and belt loops, giving different options, depending on personal preference, for tightening up the shorts if they stretch while on the ride. 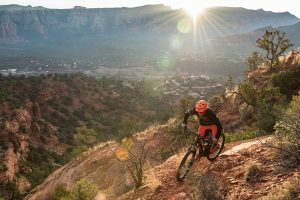 The most stylish shorts in the test are the Club Ride Chachi, no surprise to anyone following Club Ride, which made its name a decade ago by bringing western snap-shirt style to mountain bike apparel. We got several comments on the Chachi on test rides. 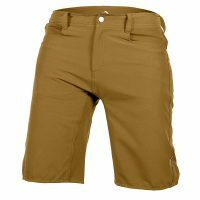 Basically, they are a simple, well-fitting short basic enough to wear as an everyday hiking or around-town short. They have a slightly shorter inseam, so don’t look as much like capris as many of the others in the test. 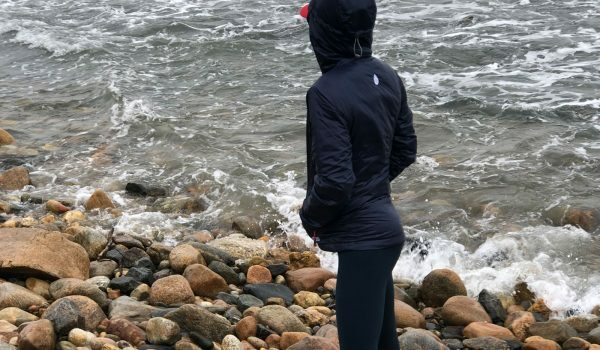 That shorter length and an interesting band across the lower back for a bit of subtle technical stye gave the Chachi the slightest of edges over the Pearl Izumi Boardwalk. 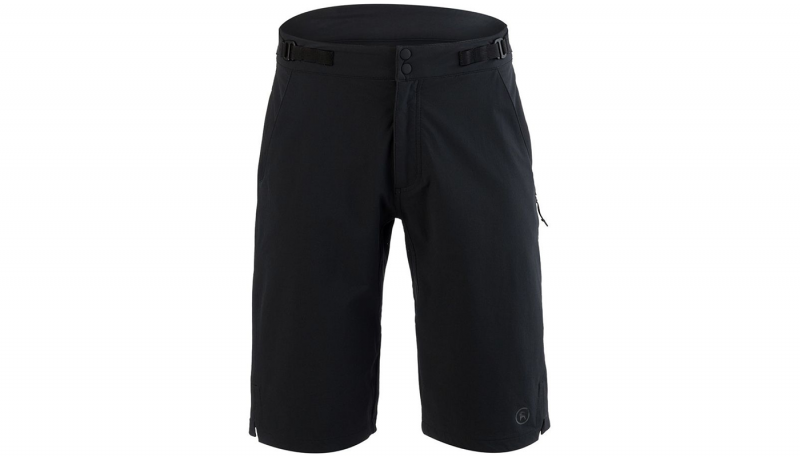 The most comfortable shorts in the test are the Gore C5 Trail Light Short. 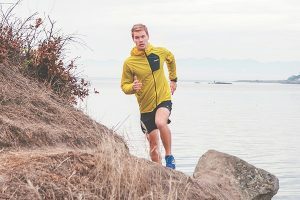 It’s simply a factor of how light the material is and the impressive amount of ventilation the shorts possess—with a 10-inch mesh strip on each thigh and one across the bottom. The shorts are so light that they are held up—supporting a plus-size phone in the pocket—with a simple drawstring. They are breezy and un-restrictive. 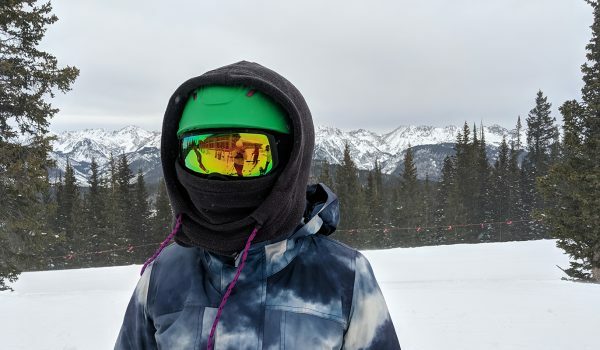 It should be noted that the obvious exception to the Gore’s comfort is in cold weather, where light fabrics and full-time venting would be pretty chilly. For cold weather riding, instead reach for the Norrona Fjora Flex1, with its thicker fabrics and longer length. This test wasn’t even close. 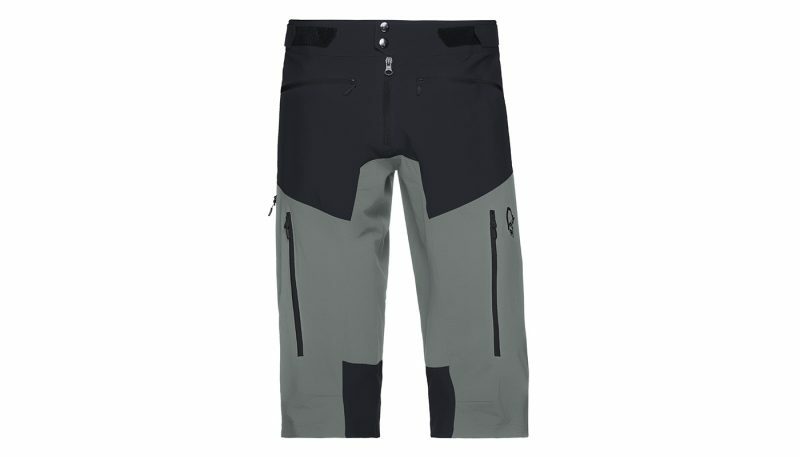 The most feature-full shorts in the test are the Norrona Fjora Flex1. They’ve got zippered vents on the thighs and the twin mesh-backed handpockets double as vents as well. 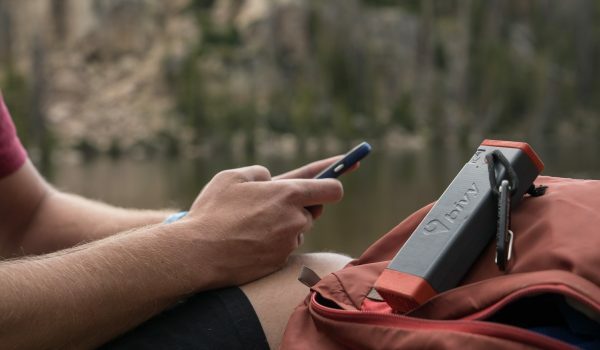 The burly Velcro hip tabs help dial in fit, and an enormous cargo pocket includes a smaller elastic mesh pocket to help secure a smartphone. Lastly, a silicone strip across the lower back prevents plumber’s crack. 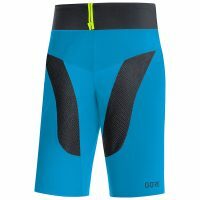 The most protective shorts in the test are the Norrona Fjora Flex1. 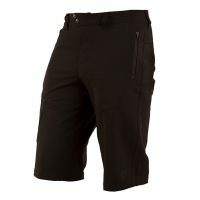 Designed with downhill riding in mind, these shorts are capri-length, with fabric covering the knees. The knee holes are also articulated for easier pedaling and large enough to accommodate knee pads. 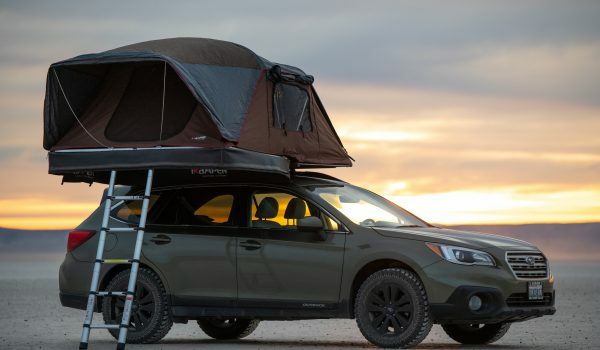 The material is also pretty thick and stretchy, just the thing to help protect in a crash—stretchy material will give a little and can help absorb some of the energy in a fall. 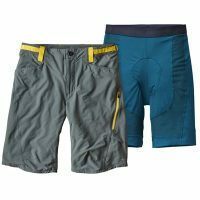 The second most protective of the shorts were Backcountry’s Full Suspension short. With good give in the material, the main difference was in the Norrona’s longer hemline.